Just look around the room and you will see lots of the square shape: square books, calendars with squares, floor tiles, signs, windows, dice and more. There is a multitude of preschool activities with squares, and you will have fun with all of them. Now move the strips on the felt board to make it look like the wind is blowing it over. 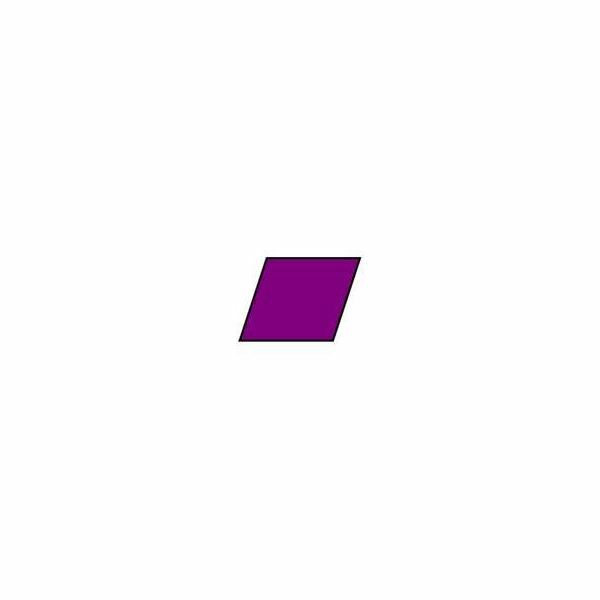 This is a parallelogram not a square. Squares of construction paper pre-cut by the teacher: Cut in several sizes and several colors. Make sure that you have pairs of each. So, for example, you may have two small red squares, two blue medium squares and two green large squares. 12 pieces of square black construction paper. Leave one side plain. Use six different colors to cut 12 squares–two of each color. Glue one colored square on each of the 10 pieces of black paper. This will be used for a memory game. 1. Put four x's on the floor with masking tape in the shape of a 4' square. Each of four students should stand on an X. Then stretch out their arms to touch the neighbor on their right and left to form a square. 2. Have four students of almost the same height form a square by laying down and positioning themselves correctly on the floor. See if they can do it with minimal teacher direction. This builds problem solving and group cooperation. 4. Pass out the prepared construction paper squares to your students. See how quickly they can "find your partner"- someone with a matching square. When all students have found a partner, each pair must tell the class what they have. For example: "We have small red squares." 5. Sit your students in a circle. Place the prepared black squares face down in the center-3 rows with 4 in each row. Students take turns turning over two squares to find a match. Continue until no squares are remaining. 6. Travel around the school to see how many squares the class can find! 7. Use the memory game black construction paper cards. Face up, place 5 in a row to form a pattern (small red, large green, medium blue, small red, large green, ______) What comes next? This reinforces skills in solving patterns. Repeat with new patterns. Ask your parent volunteers to help prepare a "Square" meal! 1. 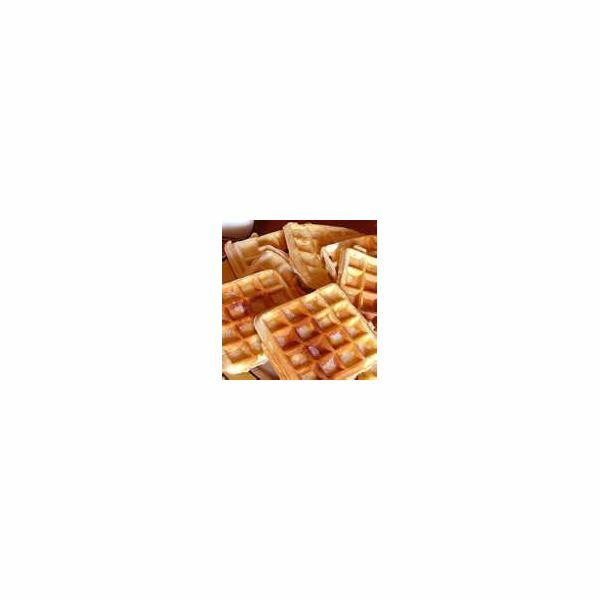 Waffles are full of squares! 1.Use the squares of different colors and sizes that you prepared for the "find your partner" activity. Place the squares in a circle on the floor. Have each child stand on one square and face the same direction. Start some music and have the students parade around the circle. When the music stops, each student should stand on a square. Call out a square. For example, you might say, "small red square." The students standing on the small red square must then sit in the middle. Game continues until the last two students are standing. 2. Play checkers! You'll see lots of squares! Give each student a 10"x10" piece of tag board. Send a letter home with instructions that the family can decorate it whatever way they want. They can use fabric scraps, buttons, photos, etc. Give them a week to prepare it. Then assemble the tag board pieces into a square quilt. You can join them in a few different ways:1) Use tape on the back to tape them together or to hang them using tape on the wall in rows to form a quilt. 2) Use a hole punch to punch several holes on the adjoining sides and lace with yarn to join the pieces. 3) Glue pieces onto a large sheet of bulletin board paper. 4) Staple them to form a quilt on the bulletin board. As you can see, using preschool activities squares, younot only reinforce identification of the square shape but the activities help achieve other goals as well. Your students will learn to play games that help with problem solving, they will have a fun project with their family, they will do some physical activities and most of all they will love learning!